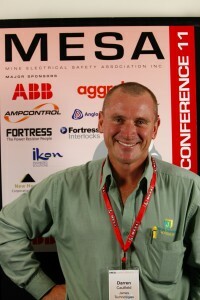 Jamestech again enjoyed attending the Mining Electrical Safety Assoc. 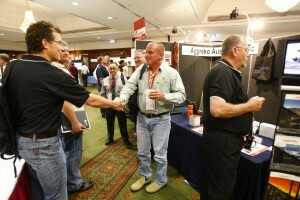 Conference 2011, 25 – 17 May, held at the Mirvac Sebel & Citigate, Brisbane. Darren Caulfield meets Geoff Devin, Rio Tinto Oron Ore.